Two million one hundred thousand people from all over the world visited the site of the former German Nazi concentration and extermination camp Auschwitz and Auschwitz II-Birkenau, which are both protected by the Museum, in 2017. It’s over 50 thousand more than in 2016, when for the first time the attendance at the Memorial was over 2 million visitors. The top ten countries from which our visitors come are: Poland (498,000), the United Kingdom (339,000), the United States (183,000), Italy (115,000), Spain (101,000), Germany (85,000), Israel (83,000), France (74,000), Czechia (53,000) and Sweden (44,000). In 2017, the number of visitors from several countries increased significantly in comparison with the previous year: Ukraine (48 per cent), Canada (36 per cent) and Greece (32 per cent). 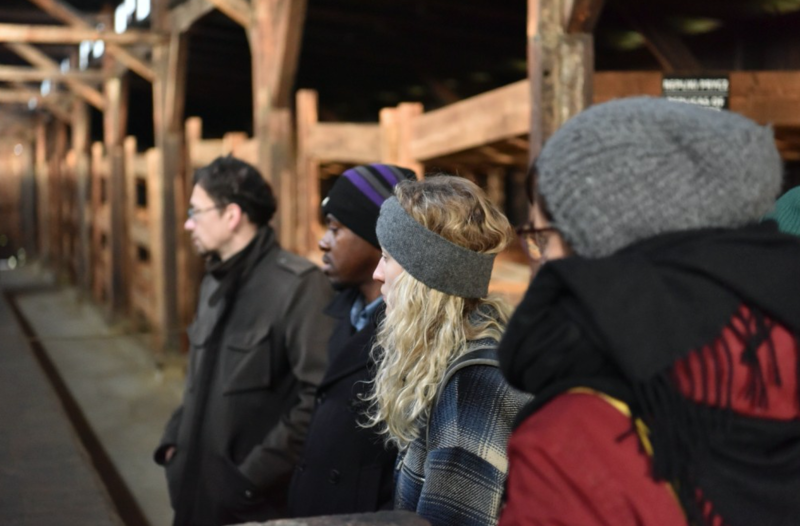 In addition to this, over 17,000 people from all around the world participated in seminars, conferences or other activities of the International Center for Education about Auschwitz and the Holocaust in 2017. Social media portals are also an important part of direct messaging, thanks to which historical information, photographs, and descriptions of the most important events at the Memorial, e.g. an anniversary commemoration, appear in the virtual space every day. Nearly 250,000 people use the Museum’s profile on Facebook; more than 58,000 follow the Museum’s account on Twitter, and over 30,0000 on Instagram. In 2017, over 33 million visits to the www.auschwitz.org website were recorded.